Pristine Herbal Touch - The makers of Wart Mole Vanish and Wild Mountain Papaya. Dedicated to bringing you the highest quality natural health and beauty products. It is our mission to search the globe for the finest quality alternative health and beauty products for you and your family. In business since 1982, we are headquartered in Los Angeles, CA USA with offices around the world including Hong Kong, Canada, Germany, and Spain. 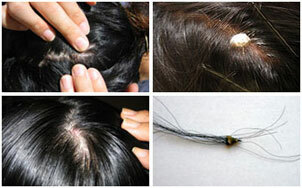 Pristine Herbal Touch has a long-standing commitment to safety and quality, standing firmly behind all our products. We guarantee results or your money back! We would never sell you a product that we didn't use extensively ourselves! Unlike typical corporations these days, we strive to develop personal relationships with each of our clients. Please take the time to view our customer testimonials and pictures. Thank you for your interest and we appreciate your business! "I just wanted to send a note to say thanks for such a great product! 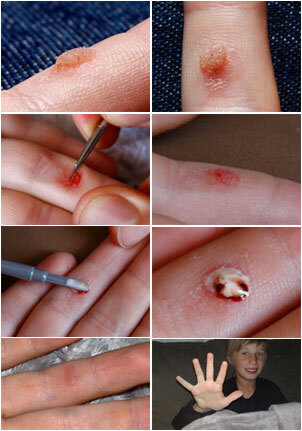 I will surely refer the Wart Mole Vanish to friends and family. It's very difficult today to find a product that actually delivers what it promises (even ones that offer guarantees), but WMV delivered right on the money. I removed 6 moles and it worked just like it is advertised to. Thanks again!" 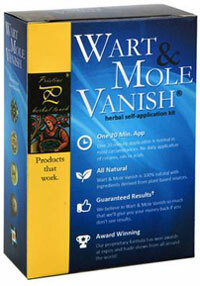 "I ordered wart mole vanish honestly unsure of the outcome. I am glad to say 'WoW" lol. 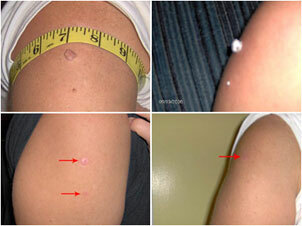 I had a few skin tags and a couple warts to remove and your product works flawlessly honestly I was thinking I was going to need several applications and I was not going to be part of group that gets them removed with one easy application if at all. Well here I am saying that this purchase has not left a sour taste in my mouth but a good feeling that only a product that under promises and over delivers can. thanks so much hopefully I wont get any more skin tags or warts but if I do there is only one link bookmarked in my browser. 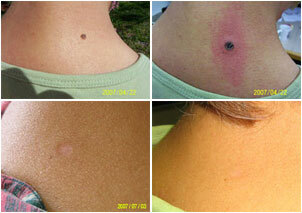 :)"
"Hi Jamie, I removed skin tags around my neck and small and large moles around my face. I had so many that it was unattractive. 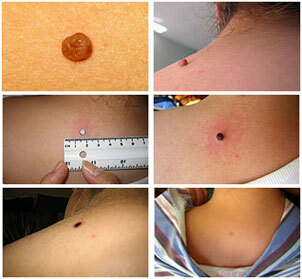 I have used Wart Mole Vanish several times now, and I think I removed at least 30-40 moles and skin tags. 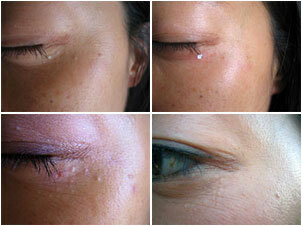 I did not have problems with scaring and the scabs fell off within 3 days. I also used "Mederma" to prevent any scaring. I am especially pleased that you have the combo packages and you are based in the US. Your quick response to my order and the time that it arrived to my home was very satisfying. I actually received my shipment 2 days after I placed the order. 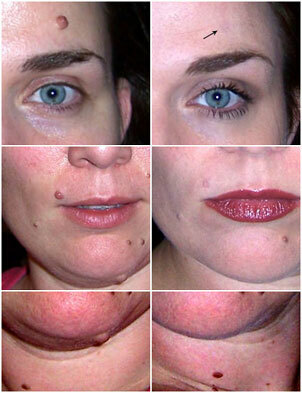 I will continue to purchase your product as I have a few more moles to remove. I still haven't used the papaya extract but I will inform you of my results. Once again, I can't thank you enough for your great customer service." 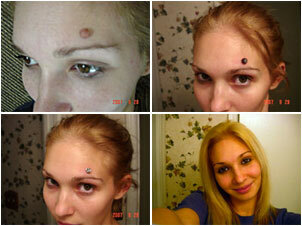 "Hello your stuff works great my warts were gone in 3 days. i tryed other products for months and nothing work as quick as pristine. i will tell my friends. Thank you." 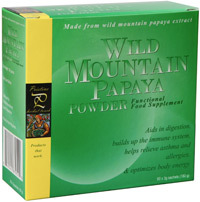 "After one week of using Wild Mountain Papaya, I am so impressed with it. Both my husband and I notice more energy after taking it than with any other supplement we have tried before. 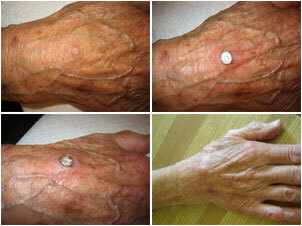 Also, the Wart Mole Vanish worked amazingly fast. 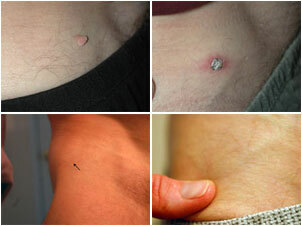 I actually saw a very large skin tag disappear before my eyes! Thank you in advance for your assistance." "Before I started taking this powder, my chest was full of mucus and every morning I had to cough up large amounts of this mucus. Two days after taking the papaya powder, I was completely cleared up and I continue to be cleared up to this day by taking it twice daily. I can’t thank you enough, this product has been a real lifesaver for me." "Since taking the Papaya powder, I’ve experienced when I feel a cold or flu coming on in the morning, I’ll take double doses 3 or 4 times that same day and by the evening, the cold or flu symptoms are completely gone. I’ve never experienced anything as potent as this before." "I’ve had bronchitis for years and I’ve tried to clear it up with so many medicines with little or no effect. The day I received your Wild Mountain Papaya powder, I took 2 sachets twice that day and by that evening my bronchial tubes were completely cleared up. This stuff is amazing, I recommend it to anybody who has bronchitis." "I used to suffer from colds at least once a month especially when there was a change in temperature, something that’s quite common here. I never imagined there was any relief until I started taking the papaya powder. At first, I couldn’t believe it but since it became part of my diet and now, 4 months later, I haven’t had a cold all this time. I have no other explanation for this fantastic improvement but the powder. I have to thank you guys for this, the papaya powder’s great!" I have been taking your powder now for 2 months and am pleased that my friend introduced it to me. I am a smoker and recently began coughing more and developed more phlegm. Since taking the powder my cough is now almost nil and the phlegm is so negligent I never notice it any more. I would also like to say that my daily BM since taking the powder is so timely I can set my clock by it and it is also with much more ease. Thank you for developing such a powder. I am a user for life. Sincerely,"
Call us for free from anywhere in the world with Skype! © 2002-2011 Pristine Herbal Touch, All rights Reserved. Warning: Statements expressed within this site have not been evaluated by the Food and Drug Administration. Any and all information and/or statements found within this site are for educational purposes only and are NOT intended to diagnose, treat, cure, prevent disease or replace the advice of a licensed healthcare practitioner. Note also, this website may contain links to other websites operated by other parties. These links are provided for your convenience and reference only. Pristine Herbal Touch is not responsible for the content or products of any linked site or the links contained therein. Pristine Herbal Touch does not dispense medical advice, prescribe, or diagnose illness. Any views and ideas expressed by Pristine Herbal Touch are not intended to be a substitute for conventional medical advice or service. You agree that no responsibility or liability will be incurred to any person or entity with respect to any loss, damage, or injury caused or alleged to be caused directly or indirectly by the information contained within this site. If you have a severe medical condition, please see a licensed healthcare practitioner.